Co-Optimus - Editorial - MMO Co-Opportunities Volume XCII: Trick of Treat! In MMOs, the month of October usually means one thing: Halloween events! This month we’ll be looking at Halloween-themed events running in TERA and Bless Online, a 7-day trial challenge currently ongoing in Black Desert Online, and Bless Online’s impending jump from Early Access to official release. For the entire month of October, TERA players can take part in the Harvest Festival Hall: a Halloween-themed event where players team up to fight off waves of enemies who want to steal Halloween candy (a pretty steep crime). Interested players should report to the NPC Serena at the Eldritch Academy. 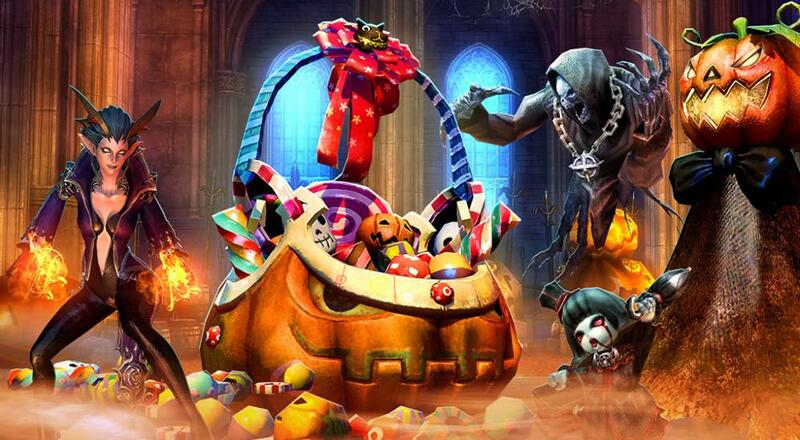 Playing the scenario will reward players with Halloween Candy tokens which they can turn in for various cosmetics. 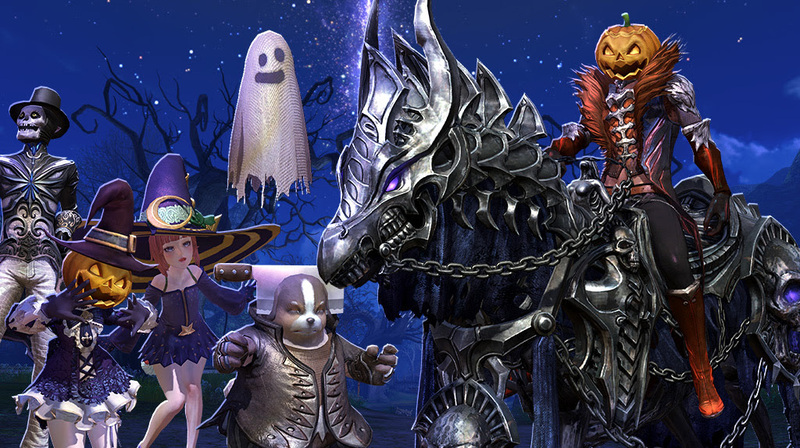 Additionally, each week a new set of Halloween-themed costumes will drop in the TERA store. Once released, these costumes will be available to purchase until the end of the month. To celebrate reaching 10 million worldwide registered players, Black Desert Online is running an event associated with its 7-day free trial. Referred to as the “7-day trial challenge,” if a player reaches level 56 and completes their Awakening Quest, they unlock a free Starter’s Package. The Starter’s Package is a complete copy of the game (and comes with ten 7-day guest passes) with a standard price of $9.99. In order to unlock this reward, players must complete this challenge during their 7-day trial before the event ends on October 17th. Players who already have a copy of the game are not eligible. As far as I can tell, in order to participate in this challenge you will need to find someone who will give you a 7-day guest pass. To witness a dramatic rendition of “Awakening,” you can check out the video below. Functionally, Awakening grants characters access to special skills and weapons.